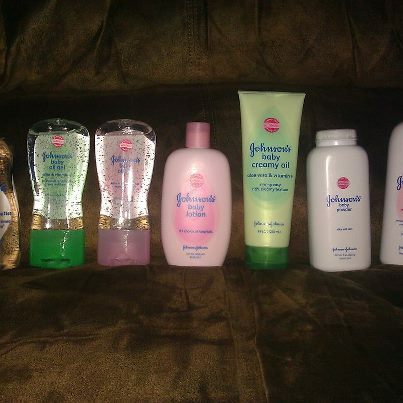 In my last post, Secretos/Secrets JOHNSON'S® Baby I asked if you knew that products such as JOHNSON'S® Baby Oil Gel, JOHNSON'S® Baby Creamy Oils, JOHNSON'S® Baby Oil and JOHNSON'S® Baby Powder are just some of the products that women can use every day to leave skin feeling moisturized and baby soft? I shared I used JOHNSON'S® Baby oil to shave my legs. It leaves them smooth! This giveaway ends 8/20/12 at 8 am. 1 winner will be randomly selected and will have 24 hours to claim their prize. Please leave your email in the comment. Comments will be disqualified if the rules are not followed. US only. Independentmami is not responsible or liable for lost packages. ***Disclosure-Sample product was received to review. These are my honest opinons. JOHNSON'S® Baby products has been Lil Bit tested and is Independentmami approved. I used Johnson's® baby oil to remove my make-up, when I do wear it. I use Johnson's Baby Powder to help keep dry in the Texas heat. Yo USO aceite johnson siempre con mis baby's. I use baby oil for my dry scalp before I take a shower. I just leave it on for a couple of hours. Yo aparte de usarlo con mi bebe , me gusta usar el JOHNSON'S® Baby Oil para desmaquillarme especialmente para quitar el rimel !! !es buenisimo! hi, I some time use oil Johnson's with aloe and vitamin E for multiple reasons, one of them is to tan my skin (I combine the oil with carrot juice) also use it to moisturize my arms and legs (to me makes it very soft) also use it for my baby's skin. Hola. Yo siempre he usado baby oil para desmaquillar mis ojos del rimel de las pestañas. y uso el shampú y la crema con mis niños.